Yep. Someone bought those ethically questionable Mesoamerican pieces sold at Bonhams. 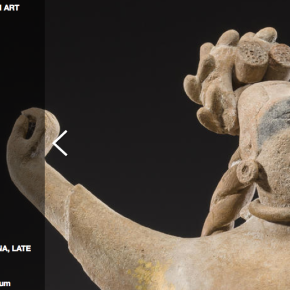 Okay, sure, all the Mesoamerican pieces being sold at Bonhams are ethically questionable. I mean the ones that were excavated from legit archaeological digs being sold off by the St Louis AIA. You know that Maya effigy vessel? The one dug up by Sylvanus Morely and his amigos? Auction house estimate was $6,000 to $8,000. I hope everyone involved is ashamed of themselves. I know they aren’t. I’m actually feeling pretty dark about it. I’m the first one to link the vase to Morley online. I’m going to have to try to sleep at night thinking that perhaps that linkage inflated the price. As archaeologist Tom Guderjan said in The Art Newspaper: “With this provenance [tied to Morley], it is certain the value of the objects has likely doubled”. More than doubled it seems. Someone else would have found that, right?